As demand for rhino horn increases - up 30 percent over the past 13 years - the wild rhino population dwindles. In fact, there are 90 percent less rhinos in the wild than in 1970, according to experts. "In 2013, more than 2,000 rhinoceros horns from Africa were trafficked, which is 30 times more than in 2000," Celine Sissler-Bienvenu, director of the International Fund for Animal Welfare (IFAW) for France and French-speaking Africa, told reporters in Paris. 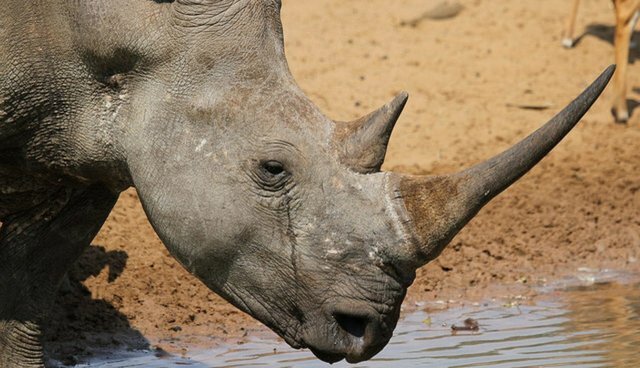 The demand makes rhino horn worth as much as cocaine or gold for traffickers. The comparison is fitting, given that wildlife trafficking has become inextricably linked to other illicit trades in recent years. It's now the fourth-largest illicit trade in the world (after drugs, arms and human trafficking). The illegal wildlife trade has been tied to several terrorist groups and to government corruption. But there may be some hope for rhinos, thanks to aggressive public awareness campaigns targeting users of the rhino horn. In October, a survey reported that 2.6 percent of people in Vietnam buy and use rhino horn, marking a 38 percent decrease over last year. The users identified in the survey skewed male, middle-aged and middle class.